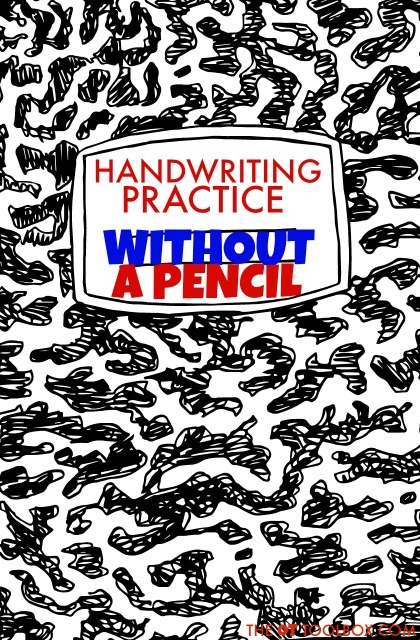 There are so many ways to work on handwriting without actually using a pencil. You probably know the face your child makes when you suggest a little handwriting practice. It's a cross between "NO!" and "Why???!!!" Anyone who has worked with a child who struggles with handwriting knows this face. But, what if I told you there were ways to work on the skills needed for handwriting and pencil grasp that don't actually require a pencil? It's true! Kids can strengthen the fine motor skills and bimanual skills needed for handwriting legibility and written work through activities that develop skills such as fine motor strength, precision, bilateral coordination, eye-hand coordination, and even posture and core stability. Want to get a printable handout that contains creative activities to develop these skills? It's a free offer this week only from the Functional Skills for Kids therapy team. 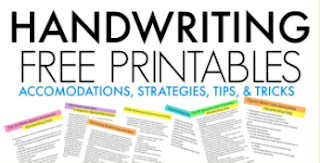 You can grab the free three page handout here and pass it on to therapists, teachers, and parents who are looking for fresh ideas to improve handwriting in fun ways. 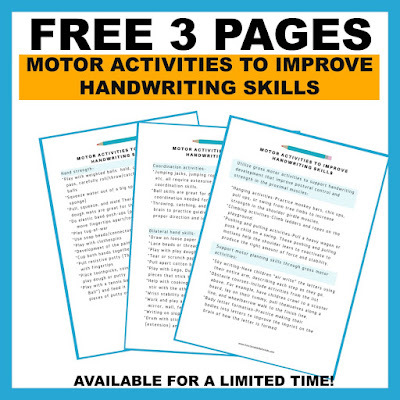 Grab your copy of Motor Activities to Improve Handwriting HERE. These are just a FEW ideas that you can try to work on handwriting and pencil grasp skills. Print off the printable handout for a checklist-type list of activities that can be used as a home program for therapists. School-based OTs will love to add these checklists to their toolbox of resources that can be shared with teachers and parents. 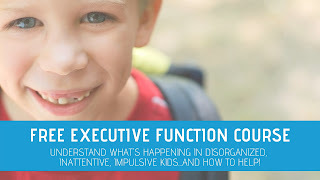 It's a great explanation sheet for helping parents and teachers understand the underlying skill areas that go into handwriting and pencil grasp. 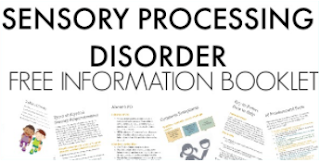 This printable handout is a tool you need in your therapy binder to copy and share again and again! 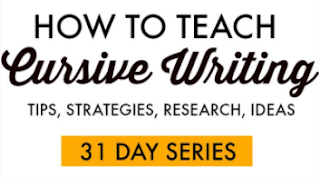 What are your favorite ways to work on the skills needed for written work and pencil grasp? Share them in our private handwriting Facebook group, Sweet Ideas for Handwriting Help.